Well, this past Sunday was the March of Dimes’ March for Babies walk. As you might remember, Shawn and I decided to join the walk as a way to honor our twins, Mary and Christopher, that were born too soon. We felt like this would be a great way to celebrate their short lives and also help out a cause that has become quite dear to us. 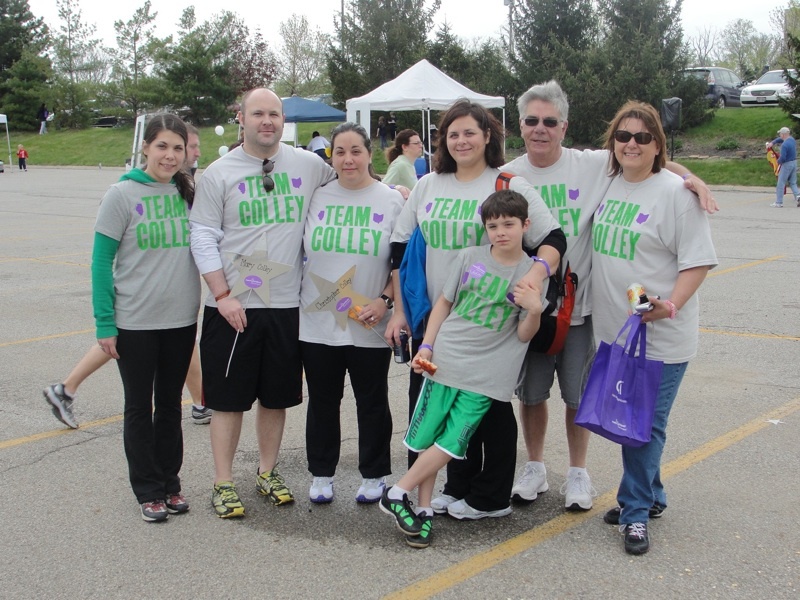 I am immensely proud to say that as of today, Team Colley raised $5090! This was possible because of the wonderful outpouring of support from our family and friends. Thank you so much to everyone that donated! For anyone that still wants to contribute, you can still do so here. The day was cool and overcast and we lucky that the rain held off until well after the walk was over. I was impressed by the turn out and how joyful the event felt. There were other families there that were walking in memory of the children they lost, but it didn’t cast any sorrow or grief to the event. I think in a way it made it more hopeful. The staff and volunteers were extremely caring and I even had a few people come up to let me know that they heard about our story and were happy we were there. This really meant a lot to me, it made me feel like part of a community and no so alone in our situation. Shawn worked so hard to have our awesome shirts made up for everyone. Aren’t they great? The back says “I’m walking in memory of Mary & Christopher. March 8, 2011” and the colors are tied in to the March For Babies logo. I think that one of my favorite things from the day was that my dad had us all hold hands and cross the finish line together. That, and Luke doing push ups after the walk. He’ll do just about anything my dad says. . . . he’ll learn eventually. « Don’t call the white coats yet.